Many people I know still have a hard time pronouncing “almond,” and I would be lying if I said I am not among those people. Aside from pronouncing its name, I also have a hard time appreciating almond as a snack. Unlike my mom who devours almonds the way I consume Lays or Ruffles, I am not exactly a fan of its hard-as-stone shell. Fortunately for me, I don’t need to pronounce its name properly or develop an affinity to its hard exterior to appreciate its numerous health benefits. Almonds (scientific name, prunus dulcis) are actually not nuts but drupes that are native to the Mediterranean and Middle East. There are two types of almonds. Bitter almonds are hardly ever eaten because they contain a small amount of hydrogen cyanide, which is extremely poisonous. Sweet almonds, on the other hand, are often consumed since it contains one of the tastiest oils. What’s even better is that a drop of its oil contains a plethora of advantages for your skin, hair, and health. Because almond oil has emollient properties, it makes for an excellent skin moisturizer. It is often used to treat dry or dull skin and chapped lips. It can also smoothen out wrinkles, reduce sagging skin, and treat eye bags, ultimately delaying signs of aging. 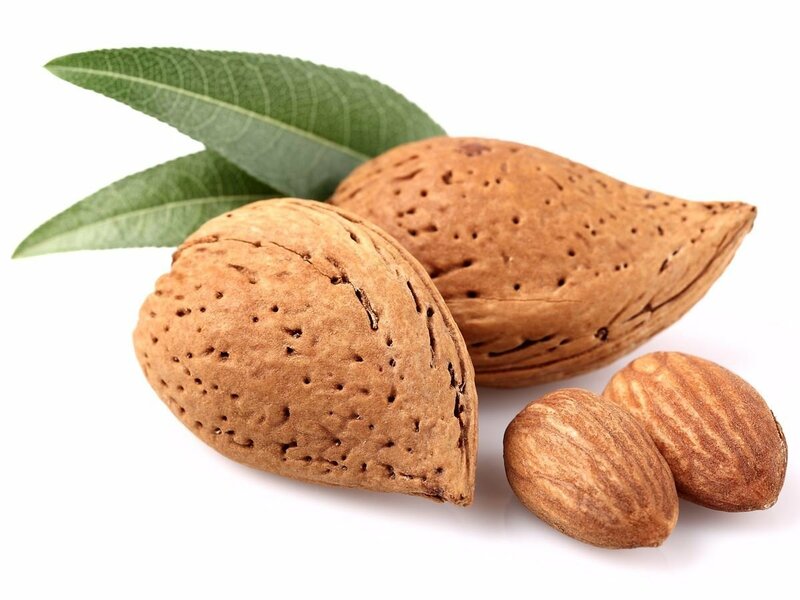 Lastly, almond oil is used as an essential ingredient in the production of hand and foot creams. Almond oil is also a sclerosant. This means that is it commonly used to treat vascular issues. If you want to get rid of those nasty spider veins, hemorrhoids, and varicose veins, try using almond oil on a regular basis. As a cicatrizant, almond oil helps heal wounds faster. Say goodbye to those scars and stretch marks with regular application of almond oil. You can even use it to lighten skin and remove tan because it is effective in eliminating impurities and dead skin cells. More importantly, this healing factor of almond oil makes it particularly important in treating psoriasis, eczema, and other forms of dermatitis. In fact, it is even used to treat dermatitis for dogs. If you have dry scalp, tangled hair, or split ends, then consider using almond oil for your hair. Because of its anti-dandruff properties, almond oil promotes shiny hair and makes perfect for hot oil treatment. A word of caution, though: do not use pure almond oil as regular hair oil; rather, use light oils. And when it comes to health benefits, this is one area where almond oil is most promising. Starting with the heart of the matter is a matter of the heart. Almond oil’s anti-oxidant properties make it critical to prevent heart ailments. It regulates blood pressure and maintains cholesterol levels, i.e., it raises “good” cholesterol while lowering “bad” ones. This is because it is rich in vitamin E and Omega-9 fatty acids. Not only is almond oil anti-oxidant; it is also anti-hepatotoxic, meaning it helps eliminate toxins in the liver. Aside from maintaining a healthy heart and liver, almond oil is an over-all booster. It boosts the immune system and memory, strengthens the nervous system, and enhances blood circulation. It is excellent for pregnant women and crucial for the bone development of babies. In addition, it promotes healthy and strong nails. Lastly, it provides instant energy, aids in weight loss, and even prevents cancer. Other health benefits of almond oil include its laxative and analgesic properties. As the former, it aids digestion and relieves constipation, making it a good colon cleanser to fight against colon cancer. As the latter, almond oil can be used as a mild pain reliever. In fact, it serves as an excellent choice for massage oil to relieve muscle pain and stress. On top of all these, almond oil yet poses quite a handful of other advantages both for people and the environment. Aside from the fact that almond oil is good for cooking, did you know that it can be used as a wood conditioner in keeping wind instruments, such as oboes and clarinets, in good condition? It also rids teeth of plaque without wearing away enamel and is used to treat earaches. Its ability to soften ear wax allows it to relieve blockage, making it a natural ear infection remedy, especially for children. Almond oil also protects against diabetes, is an excellent biodiesel, and best of all, is used to treat poison, especially aluminum phosphide found in pesticide. Although you and I may not be almond lovers, we both have to agree that there is much to like about almond oil. Almonds may be hard on the outside, but it surely contains all sorts of healthy goodness on the inside. And the best thing about it is, we don’t need to get its pronunciation right to reap all its benefit.